When Amber Lea Starfire discovers boxes containing a lifetime of her mother's journals and letters, she realizes she's been given a rare chance to unlock the enigma that had been her mother--but will her mother's writings reveal the woman she remembers, or someone else altogether? Not the Mother I Remember tells the story of a sensitive girl raised by an exceptional and unconventional woman during a time of social change, gradually exposing the true nature of their relationship and their extraordinary bonds. 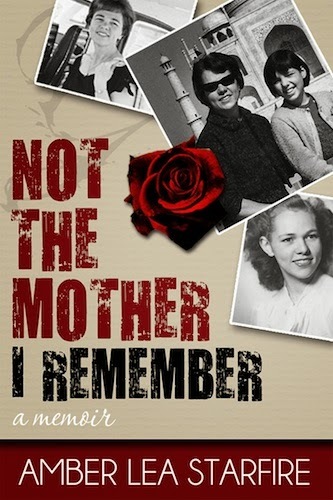 Not the Mother I Remember is available in paperback and e-book at Amazon and Barnes & Noble. 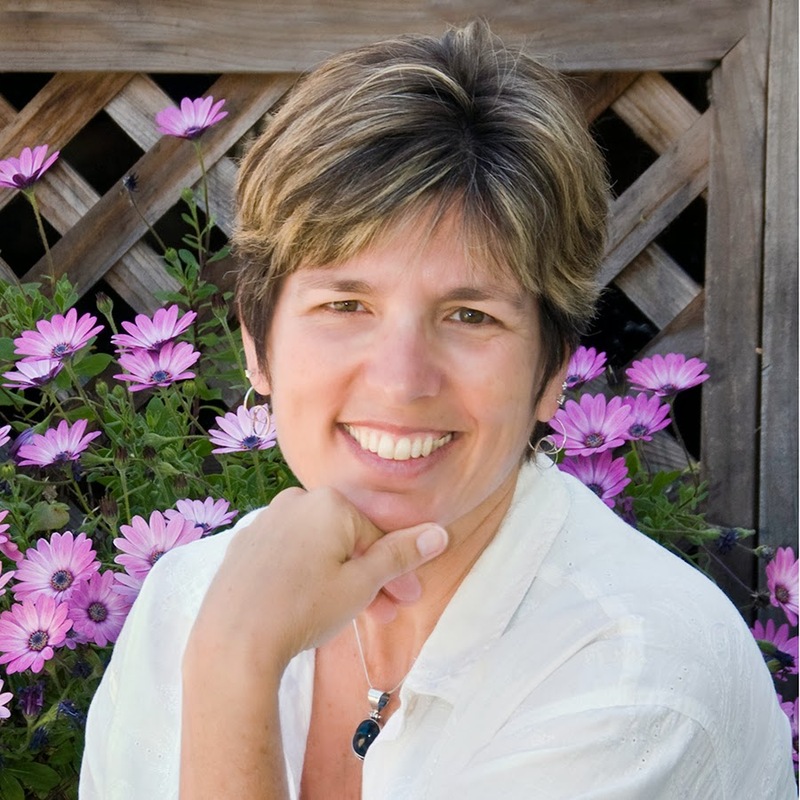 Amber Lea Starfire, whose passion is helping others tell their stories, is the author of Week by Week: A Year’s Worth of Journaling Prompts & Meditations (2011) and co-editor of the anthology, Times They Were A-Changing: Women Remember the '60s & '70s, released in 2013. A writing teacher and editor, she earned her MFA in Creative Writing from University of San Francisco and is a member of the California Writers Club in Napa and Santa Rosa, the Story Circle Network, National Association of Memoir Writers, and International Association for Journal Writing. In her spare time, she enjoys spending time outdoors. www.writingthroughlife.com. I began reading Amber Lea Starfire’s book Not the Mother I Remember on a Saturday afternoon and was already halfway through it before I went to bed that evening. Simply put, I quickly became immersed in the story of Jacqueline “Jackie” Carr, a teacher, writer, and mother of six, and a woman determined to experience all life had to offer, despite how it affected her relationships with her children. The memoir begins with a preface describing how Starfire and her brothers make the decision to place their mother, suffering from Alzheimer’s, into an assisted-living facility. During the course of cleaning out her mother’s apartment, Starfire opens a storage closet and discovers boxes and boxes of her mother’s writing and correspondence. While elated at what she has found, she is also scarred from years of battling with her complicated mother and knows she is not yet ready to face the story behind who Jackie Carr really was. Only after her mother’s death in 2007 does she begin the arduous process of sifting through the letters and journal entries. It is then that she also officially changes her name from Linda Peterson to Amber Lea Starfire. I was fascinated by the story of how Carr sold all her belongings after divorcing her husband and took two of her children (including the author, who was 10 years old at the time) on a 365-day world tour that included Ireland, Scotland, Spain, Greece, Turkey, Japan and many other places. But that fascination turned to disbelief as I discovered that Jackie also left her children with virtual strangers at different times throughout that year as she went off on separate adventures of her own. I questioned how a single mother during that time period could balance supporting herself and her children and be actively involved in as many things as she was. (The progressive Jackie also earned her pilot’s license at one point, purchased a small plane, and took Starfire and her brother on a whirlwind summer flying tour). What makes this book unique is how Starfire layers her own narrative with excerpts from Jackie’s letters and diary entries, which takes the story to a whole different level. She also includes photos, copies of her mother’s typewritten work history, real estate transactions, publishing history, travel excursions and more. Readers can also get a glimpse of an obituary that Jackie wrote for herself in 1998. Not the Mother I Remember is no ordinary memoir, and because of this, I highly recommend it. Starfire’s writing is clear and strong and she tackles this difficult subject matter in a way that is both poignant and cathartic. I think this book will appeal to readers who also enjoyed The Glass Castle by Jeanette Walls. Enter the Rafflecopter form below for a chance to win your own copy of Not the Mother I Remember. Renee, thank you for your insightful and thoughtful review. I am touched by the way you get to the heart of the memoir. This novel has such an interesting storyline and timeline, I would love to read this memoir. I think it would be a real page-turner. I've had glimpses of Amber's memoir over the last two years, and those bits and pieces of the book were fascinating, exotic, and sometimes horrifying, especially through a child's eyes. Now it's time for the reveal, to read the story from beginning to now, and discover the meaning that her childhood and relationship with her mother has for Amber and for all women who struggle to find their identity. Time to read that book! @Amber--You're very welcome! I know the whole process of sifting through your mother's things after her death had to have been difficult but you did such a great job with balancing her story with your own. Your family has obviously been through a great deal and I commend you for working through it in the manner that you have! @Majorie and Margo--Thank you for taking the time to stop by and leave a comment today! I encourage you all to put this book in your "to be read" pile. It's a great and unique example of memoir writing. @Kate--Good to see you on here! I know you won't be disappointed once you get a chance to read "Not the Mother I Remember" all the way through. @Marjorie and @Margo -- I meant the last message for Marjorie. @Margo, it was a terrific challenge to weave my mother's words and story with my own in a way that didn't diminish my story. I think, after much trial and error, I succeeded in structuring the memoir so it accomplishes this. And I'd love to receive your feedback after you read the memoir. @Kate, thank you for your kind words and support. I also look forward to your response after reading it! Wow, I am intrigued by the review of this book. It sounds like this memoir is one of those wonderful books that pulls you in and repels you at the same time. I was blessed with a wonderful mom, and my heart aches for anyone who has never had the kind of endless, dependable love. She was always in my corner, and because of her my corner was a secure place to be! Wow, that is powerful writing about "The Tar." I can tell this is a complex drama - intriguing and illuminating. How sad. I can so relate to the author. I am going through something similar with a close friend. Her mother is suffering living alone but at the same time, knowledgeable enough to understand that she needs to be helped. @Audrey, thank you for your interest. I always envied girls/women whose mothers were always there for them emotionally. On the other hand, I always knew my mother loved me, and felt secure in that way. It'll be interesting to know your response after reading my memoir, and whether or not it's what you expected. @Lady Lilith ... Are you commenting about the Alzheimer's aspect of my story? Yes, it was incredibly sad and one of the most difficult times of my life. Yet the gift of my mother's journals and letters allowed me to get to know her in a way that never would have happened, had she not left them for me to find -- a gift that also helped me answer some of my questions about our relationship. @Linda, the Tar metaphor emerged as I was writing one of the scenes which now appears early in the memoir. And while it doesn't take center stage, it's a thread running throughout our story. I know I will love this book! I want to enter in the give-away, but the raffle-thingy doesn't seem to be working at the moment. It's stuck on "loading." I'll try back tomorrow. Okay, I HAVE to read Amber's book after Renee's wonderful review! I have a box of my mother’s letters and correspondence, written in kanji, that I need to have translated. I'm hoping they will reveal some of the reasons behind her mysterious suicide. And like Margo, I'm also interested in seeing how the story is written. Jackie sounds like such a dynamic woman! Angela, I'm so sorry to hear that about your mother. It will be interesting to see what you can find out from that correspondence. You definitely need to check out Amber's book so you can see how she pieced it all together. This book really sounds interesting and insightful. I would love to read it.